Jonathon: I'm not near my home library to confirm, but I don't think any of the EM-1's ran after about mid-1958. The B&O ran a "Farewell to Steam" fan trip in May of that year (with a Q-4) which was advertised as the last steam operation on the B&O. That wasn't quite true, but very close. A couple of the EM-1's were in storage until sent to scrap in 1960. 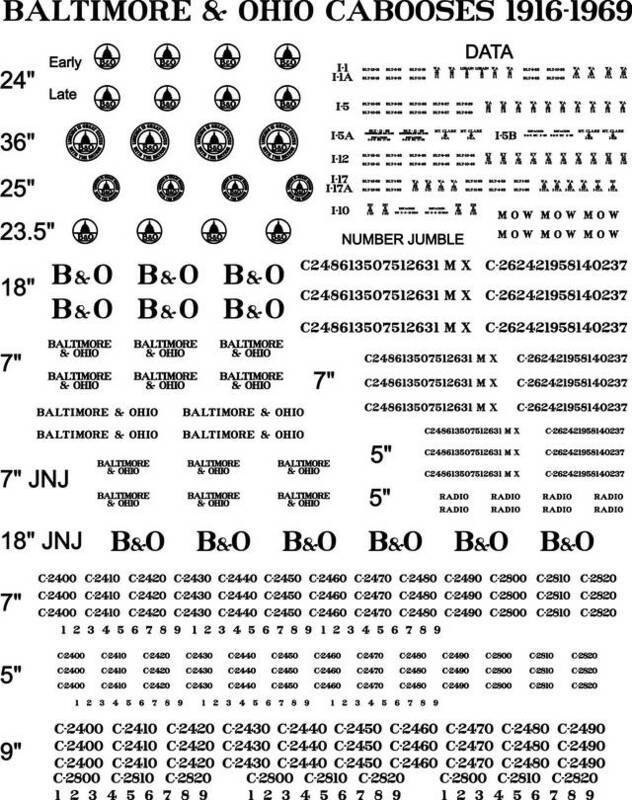 IIRC, there were close to a hundred steamers still listed on the January 1, 1960 B&O roster, but again almost none had operated for at least a year. I believe you are correct, sir. Still I have seen an old film clip of an EM-1, with mixed freight (mostly coal), with a very light colored caboose. Could have been just very faded from age, of course. I'd like to believe the yellowstones only pushed and pulled red cabooses. That's the story on my railroad, anyway. The latest clip, with a date on it, that I've seen, was 1957. I guess it was wishful thinking that one still made steam in 1960. I was born a year too late too see one in person. Well, I do have my toys, uh scale models, anyway. There were two distinct sizes of the 13 States logo, 36" and 25". It was a complex mask and multiple sizes were just not used. There were a few variations of the capitol dome logo, two different 24" versions with a change in the "B&O" and then a 23.5" size used later. 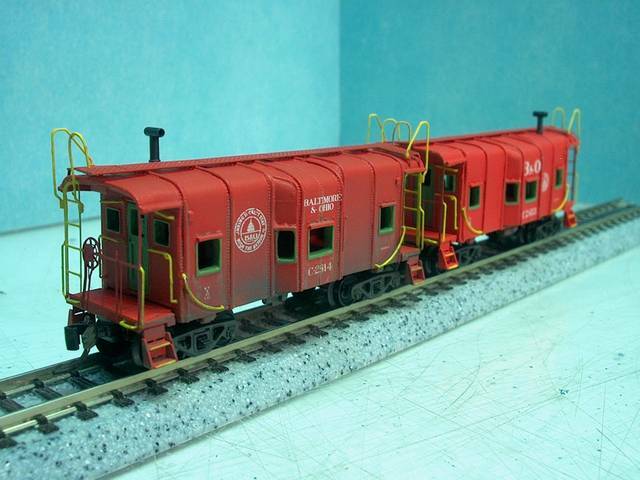 As with most everything there are variations that slipped out of the shops that throw a wrench into things but the list below was compiled to help in decaling a I-12 wagontops and the basic rules were the same for other cabooses. Keep in mind, if a caboose already wore an older scheme, it would only get changed if the caboose was going to be in the shop for a while. Thanks for that comprehensive list. 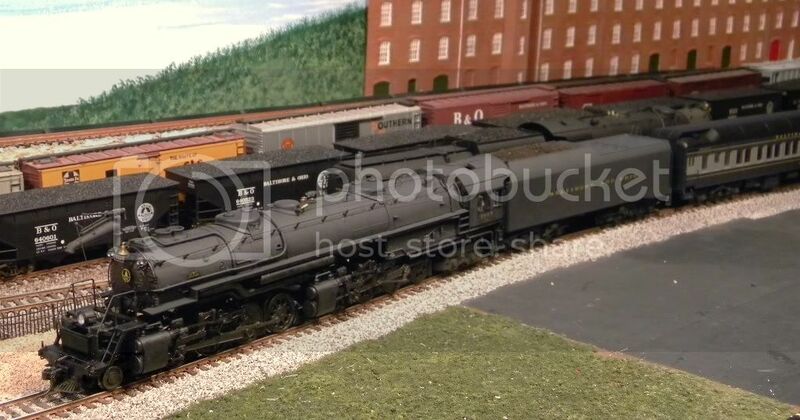 Goes to show how complicated it can get, depending on what year you wish to model, AND when a particular caboose might have gotten its new paint scheme and markings. 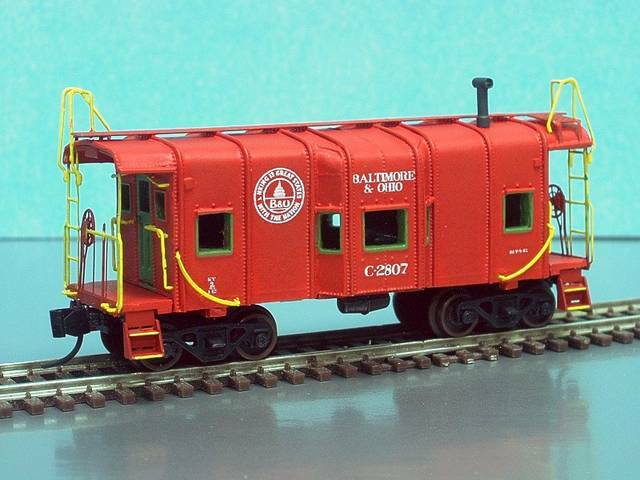 I think my next caboose project will get the 1955 version. 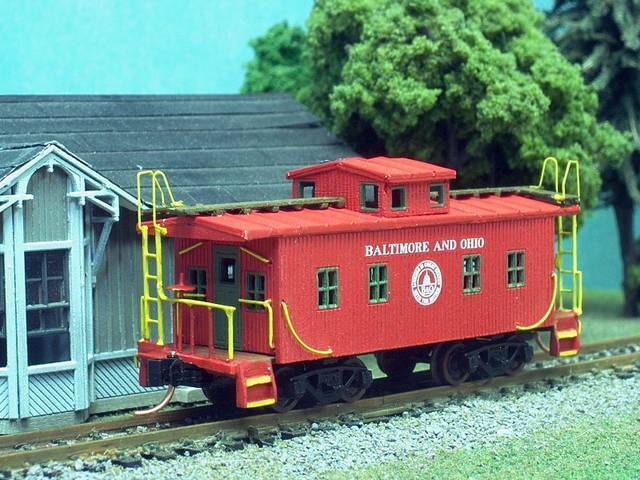 Great N scale modeling, too! My eyes and hands couldn't work that small. Thanks! As always, it is best to work from a photo if possible to get the most accurate model. Most of my information was compiled by referencing these two books along with some help from members of the B&O historical society. 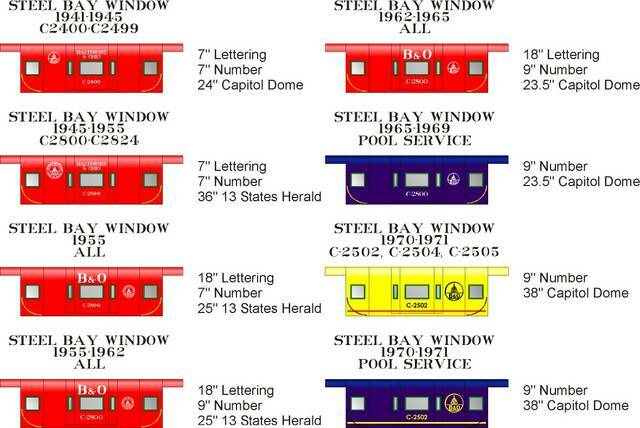 The decal sheet above was done for N scale modelers because we had an I-12 caboose kit available with no decals to finish it properly. Jonathon: Re: The film clip - my guess would be that the hack was likely a bit faded (red paint seems to do that) maybe coupled with the film being orthochromatic (assuming the film was b&w), which did interesting things with how colors were rendered in b&w. Panchromatic films were better at such things, but pan film was just coming into its own as the steam era waned.